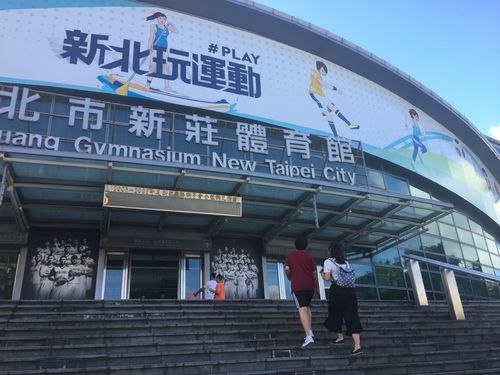 The William Jones Cup, an annual summer basketball tournament that has been a fixture on Taiwan's sports calendar for 40 years, is once again in full swing at New Taipei's Xinzhuang Gymnasium. One of only a handful of international sports events played regularly in Taiwan, it gives local fans the chance to show their national pride in backing the country's blue (national A) and white (national B) teams in both the men's and women's divisions of the competition. In recent years, however, the tourney has also turned into a "home" event for the Philippines and its rabid supporters, drawn from a pool of 150,000 Filipino migrant workers in Taiwan. Franco Lacanaria, a Filipino priest at St. Christopher's Catholic Church in Taipei, a key hub for Filipinos in the city, told CNA that basketball and boxing are the two most-loved and most-watched sports in his country. "They say that whenever there is an important basketball game for the Philippines national team, even crime stops for an hour or two," Lacanaria said. The Philippines' national team, which is now ranked 30th in the world, regularly competes in the Jones Cup and has won five titles, tied with Iran for second most behind the United States with 15. Filipinos working in Taiwan often pack arenas for their team's games during the tournament, to the point where they have to buy tickets from scalpers to get a seat, as was the case last year, Father Lancaria said. Though outnumbered, they tend make as much noise as the home team's fans when the Philippines plays Taiwan. Part of the allure, Lancaria said, is that it offers those who live and work overseas a sense of belonging and comfort to get together and cheer for their homeland. That support has been less noticeable at this year's Jones Cup because the country's university champion, the Ateneo Blue Eagles of Ateneo de Manila University, is representing the Philippines rather than its national team. Still, "they are wearing the national team uniform. That means they represent the Philippines," Father Lacanaria said, and indeed, the cheers of Philippine fans were clearly heard on Sunday when the Blue Eagles blew out Taiwan's white team 87-64. CNA met a Filipino worker named Arlan at the Blue Eagles game Monday against South Korea who said he and six of his co-workers at a factory in Hsinchu took the day off to back their team. He said many of his countrymen have attended Jones Cup games three or four times in the past but it was a first for him because the distance between Hsinchu and Taipei made it hard to get to games, and he was eager to support the university team. The Blue Eagles ended up losing 90-73 to the Koreans that day, and were 1-2 after four days of competition, tied for fifth in the nine-team tournament with Japan B. Another country with a large contingent of migrant workers in Taiwan -- Indonesia -- is appearing at the Jones Cup this year for the first time since 1992. But unlike Filipinos, Indonesian migrant workers have not taken much of an overt interest in their team's performance. It's hard to find Indonesians at the Jones Cup games, possibly because many of them work as female caregivers who do not have the flexibility to take a day off during the week when most Jones Cup games are played. Khusnul Khotimah, an Indonesian caregiver who lives next to Xinzhuang Gymnasium, told CNA she would consider going to a game if her employers allowed it. She also admitted, however, to not being much of a basketball fan, coming from a country where badminton and football are far more popular. 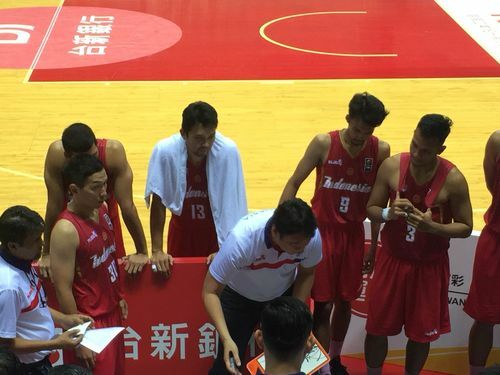 Even an avid basketball fan such as Jeffery, a 20-year-old Indonesian student who has studied at National Taipei University of Technology for three years, told CNA that the basketball league in Indonesia is not that competitive and he rarely watches it, preferring NBA games on TV instead. He was not aware that Indonesia was competing at this year's Jones Cup, but was happy to hear it has a team at the tournament. Indonesia is here to prepare for the Asian Games in Jakarta next month, according to the team's head coach Fictor Gideon Roring. Himself a member of the 1992 Indonesian team that last participated in the Jones Cup, Roring told Taiwan media that Indonesia once play basketball at a high level but had stopped improving for many years. He hoped that competing in international tournaments would elevate the caliber of the national team. "We would love to be invited to the Jones Cup again next year," Roring said. Other teams competing in this year's tournament include Lithuania, Japan, Canada, Iran and South Korea in the men's division being held from July 14 to 22 and New Zealand, India, South Korea and Japan in the women's division, to be held from July 25 through 29.